One of the issues to which we devote insufficient space and time is local politics, and especially to the vexed subject of Council Tax. Brought to our notice recently, though, was the especially Orwellian press release from East Hampshire District Council (EHDC), congratulating itself on its high level of collection, recovering 98.8 percent of its tax due, putting it in the top ten percent of councils in England for collection performance. Says Council Leader Ferris Cowper, "A high collection rate is excellent for the council's overall finances and also great news for council taxpayers and businesses. He goes on to say: "It means that the council does not have to use large sums of money to pay for bad debts and this helps to reduce the pressure to increase Council Tax in the future. When it comes to Council Tax, if everyone pays, then everyone pays less". However, throughout the land, there is absolutely no evidence to support this statement. 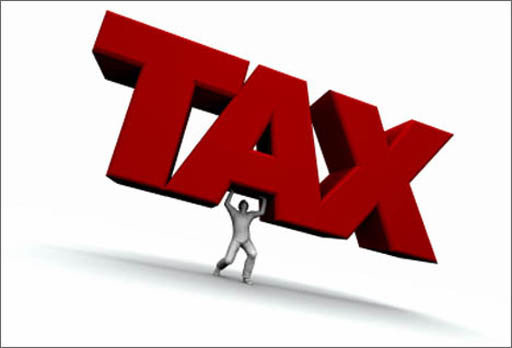 In this case, as elsewhere, EHDC's tax levels are set within the parameters mandated by central government. Being a two-tier district, it depends hugely on the activity of the County Council, which provides the bulk of local services. Thus, in the short-term, Council Tax levels entirely unrelated to recovery rates, and they certainly do not drop because of the collection performances. Over the longer term though, there is at work a dynamic which is exactly the opposite to which Councillor Cowper asserts. In the absence of restraint, there are no natural limits to the level of tax governments will impose, other than the limits set by people's ability to pay and willingness to pay – the former, to an extent, governing the latter. On the other hand, the more resistance to taxation there is, and the more difficult (and expensive) the authorities find collecting any specific tax, the less inclined they are to pursue it. Every Councillor and official should be imbued with the idea that their taxpayers are on the verge of rebellion. And where this is reflected across the board, overall taxation levels will be lower. As Hampshire County Council Leader Roy Perry readily acknowledges, when there is national pressure to avoid council tax rises, politicians seek to contain increases. The increasing difficulty councils are having in collecting that tax is part of that pressure. That is one signal – and a very effective one – that tells the authorities that tax levels are too high. Elected politicians and – especially - officials and would prefer that their revenue-providers (aka citizens) confined their signals to approved channels, such as voting, which can be safely ignored, or funnelled into areas where the signal is so blurred that the message can be discounted. This means they tend to single out those who send non-approved signals, such as deliberate late-payers, imposing often illegal "fines" disguised as court fees incurred in recovery (for summonses and liability orders), and allowing their own recovery contractors (aka bailiffs) to impose punitive, and very often illegal collection fees. By this means, the system is able to levy "fines" at a level higher than most courts would apply for quite serious criminal offences, and also impose custodial sentences more severe than would be imposed on violent criminals. And, most often, the "fines" are directed at those least able to pay, or those less equipped to handle their financial affairs. On this basis, the Orwellian Council Leader, Mr Ferris Cowper is wholly wrong. The more people there are who resist council tax, and who make it difficult for councils to collect, the lower overall tax levels will remain. This is the hissing geese theory of taxation, and there is no better one. Thus does, of course, marginally increase local authority costs, but that is part of the cost of democracy. Just as there is a cost involved in holding elections – and increasingly popular "consultation" exercises, to legitimise that which the authorities intended to do anyway – so there will be a necessary cost to tax collection, the expense of which is part of the democratic process, in restraining the excesses of our rulers. To assert. therefore, that willing taxpayers reduce bills, is an establishment myth – it is a classic "Orwellian inversion", the exact opposite of the truth.